Fully supported including lodging, food, SAG support, training instructions, hands on coaching, and an experience of a lifetime! Want to train and explore some of Florida’s best cycling roads this winter? Wait no longer! Join us on a fun training adventure trip led by experienced riders into the heartland of Florida. The route will include lightly traveled country roads with views of open ranches, lakes, sandy beaches, crystal blue waters of the Gulf of Mexico, the Peace River, rolling orange groves, and much more of Florida’s undeveloped land. Florida has some of the best weather in the winter so if you’re from the northern or western United States, this is the perfect opportunity to get away and train in the Florida sunshine. 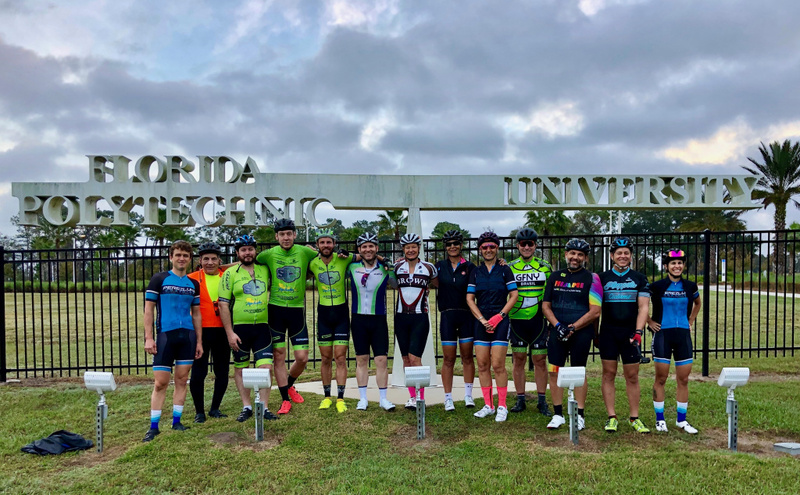 Come along for a fun and challenging ride and see some of Florida’s small towns, peaceful countryside, and quiet beaches on this journey that will prelude to a longer excursion down to Key West in 2019! Want to see complete camp guide or have any questions?